For more information, check out the researchmap of JST. Shin Mizukoshi. 2017. Media Literacy and Digital Storytelling in Contemporary Japan. The Newsletter. No.76. Spring 2017. The International Institute for Asian Studies. 38-39. Shin Mizukoshi, Is Japan the ‘Galapagos Island’ of Social Media?, Global Asia, summer 2014, vol.9 no.2, Seoul: East Asia Foundation, 2014. 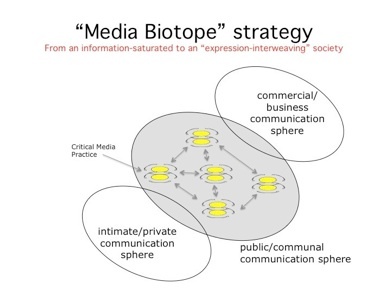 Shin MIZUKOSHI, Beyond Anti-Intellectualism: An Attempt to Design a Media Community, 5: Designing Media Ecology, 1st issue, 2014, pp. 18-27. Shin MIZUKOSHI, “Draft Tokyo Declaration on Collaborative Action for Media Literacy,” MELL Project Symposium 2006, Tokyo, March 2006. Shin MIZUKOSHI, Mamiko HAYASHIDA, Masaaki ITO,“Reconsideration of Media Literacy with Mobile Media,” Mobile Communication and Asian Modernities, City University of Hong Kong, June 2005. Shin MIZUKOSHI, “Challenges and Possibilities of Japan’s Media Literacy: Perspectives of the MELL Project”, Media Education International Symposium, Korean Society for Journalism and Communication, October 2, 2003. Shin MIZUKOSHI, “From Active Enthusiasts to Passive Listeners: Radio, the State, and the Transformation of the Wireless Imagination,” SENRI Ethnological Studies, vol.52, 2000, pp.65-75. Shin MIZUKOSHI, “Socio-media studies from the historical perspective: informaton technology, media, and 20th-century society,” Review of Media, Information and Society, vol.3, 1998, pp.49-67. Shin MIZUKOSHI, “The Future of Journalism in Cyberspace” Journal of Communication Research, Institute of Communication Studies, Seoul National University, 1997, pp.19-27. Shin MIZUKOSHI, “Social Imagination and the Industrial Formation of Television Technologies in Japan,” Association for Asian Studies, 1995. (Research Report Booklet) Shin Mizukoshi ed. 2016. Storyplacing: Co-Design of Digital Storytelling System with Geographic Information 2014-2016. (Video) Shin MIZUKOSHI, “Collaborative Storytelling for Community Bond: from Mobile Media Literacy to Mobile Story Telling”, MobilityShifts@ New School University, New York City, October 13, 2011. (Video) Shin MIZUKOSHI, “Fundament and Practice of Mobile Media Studies: Report from One Regimented Society”, Keitai Kids: Youth, Culture and Social Media in the USA and Japan, @Japan Society, New York City, October 11, 2011.